As an entrepreneur, you’re the driving force behind your business. Without you, the business wouldn’t exist – plain and simple. But you can easily find yourself bogged down doing time-consuming, low-profit tasks just to keep the cogs turning. As an entrepreneur myself, I know exactly how easy it is to fall into the trap, instead of focus on the tasks that really matter. 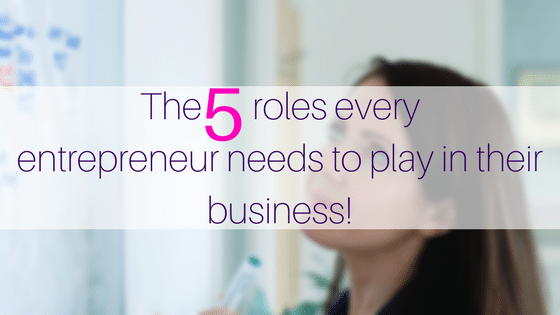 Here are five roles I’ve adopted as a successful entrepreneur which you can use to build momentum and influence and ultimately reassert control of your business. It goes without saying that, in business, people – audience, investors, media contacts – get behind a leader, not a logo. And as the face of your business, you should be going above and beyond to make sure people see you. YOU are the business. It’s your job to be seen. It’s NOT your job to organise how to go about being seen. 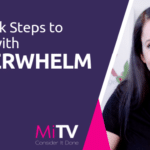 Some of the most time-consuming jobs many entrepreneurs fail to delegate are dealing with cold leads, answering social media enquiries, planning and researching audiences and venues. For your business to grow, your attention is needed elsewhere. If it’s your job to stand in front of the masses and win them over to your cause – a big enough undertaking on its own. We’re talking speeches, presentations, interviews, press conferences. The big wig meetings which drive the real revenue through the business. People may forget a brand name, but if you’re good, they won’t forget your face. The solution? Simple. All the above, time-consuming admin tasks can be passed over, to an administrative expert. Don’t waste your valuable time, and don’t hide your face behind your business. People want to spend money with YOU. The biggest job of any business is driving new leads. And it can be the most frustrating too. If you’re still doing any of these, then I implore you: please STOP. Put every one of these things on a list and let someone else do them. Why? As an entrepreneur, think strategic. Who can I work with to put my business in front of new audiences? Who am I best placed to partner with to grow the business? This is where your time should be focused… not on speaking to cold leads. So keep only the very important numbers on speed dial and keep those sales calls and prospect enquiries well away from your corner of the office. The rules stay the same whatever business you’re in, whichever sector you’re marketing in. That’s right, the big marketing decisions are in your hands. Now, this doesn’t mean you should personally be doing your advertising and marketing. Stick your nose around the door to make sure those you’ve given the task are clued into your strategy but, in reality, YOU need to think bigger. Your time needs to be spent revising and honing your marketing strategy. Use your experience to monitor your best channels to market and to ensure your marketing is working. But it goes deeper than that. You’ve got the task of making sure your message is crystal clear, and decide if it’s still the right way to communicate with your audience. It’s not theoretical physics, but you still need to spend enough time and space to step back from the day-to-day hustle and bustle to take a 30,000 ft view of your business. Most really great businesses have a driven entrepreneur at their centre. That drive doesn’t die away when the business begins to bloom. But for so many, the first sign of success drives them in the wrong direction. When you’re in a market full of competitors nipping at your heels, your biggest worry is they’ll make your product or service obsolete. Competition is tough. But stagnation is worse. Your job then is to keep creative ideas flowing. Keep feeding your mind – not by packing your day with work, but by giving yourself the space to innovate your products and services to meet the needs of your customers. To dream big you’ve got to open your horizons. Only then can your business gain the defensive resilience of a player there to stay. As the business grows you shouldn’t get busier. As the business grows your roles need to evolve. Last month you were writing emails and taking sales calls. Earning maybe £20-40 an hour. But now you’ve started to grow your business your hours are far more valuable. A half hour video call with a high-value customer, or a half day strategy rethink could be worth tens of thousands of pounds. It’s no longer about the small tasks for you now, so why are you still doing them? If you’re still doing jobs you’re overqualified for to stay busy, then you’re not putting enough time into these five entrepreneurial roles. That’s why number five is all about delegation. Arguably one of your most important and most challenging roles is being able to hand over responsibilities to others. To outsource and unburden yourself of jobs you’re too valuable to be doing. At Mi-PA we work with hundreds of entrepreneurs to enable them to grow their businesses. I’ve learnt to outsource my job as an expert PA by hiring some of Britain’s best and brightest to help even more clients. Their knowledge of business and ability change my clients’ lives has enabled me to steadily grow and develop Mi-PA and evolve its services to better meet the needs of entrepreneurs like you who need to free up time to do the jobs that really matter. If you’re an entrepreneur struggling to let go of their trivial, time-consuming admin, marketing, social media, call answering (the list goes on – you get it), then a good first step is giving me a call to see how we can help you step back into your five entrepreneurial roles. Find out more here and give us a ring on 0161 820 6080 to discover how we can help you. Or read our blog on why virtual PA’s are best for start-ups and small businesses here.